Sensitive aluminum. Development of active aluminum profiles by functional printing. ILUMINIO The project aims to lay the foundation for the industrialization of a new generation of intelligent aluminum. ILUMINIO intends to demonstrate the feasibility of functional printing on rigid substrates such as aluminum metal. The solution for digital printing on aluminum ILUMINIO will provide aluminum profiles new features included in the product. 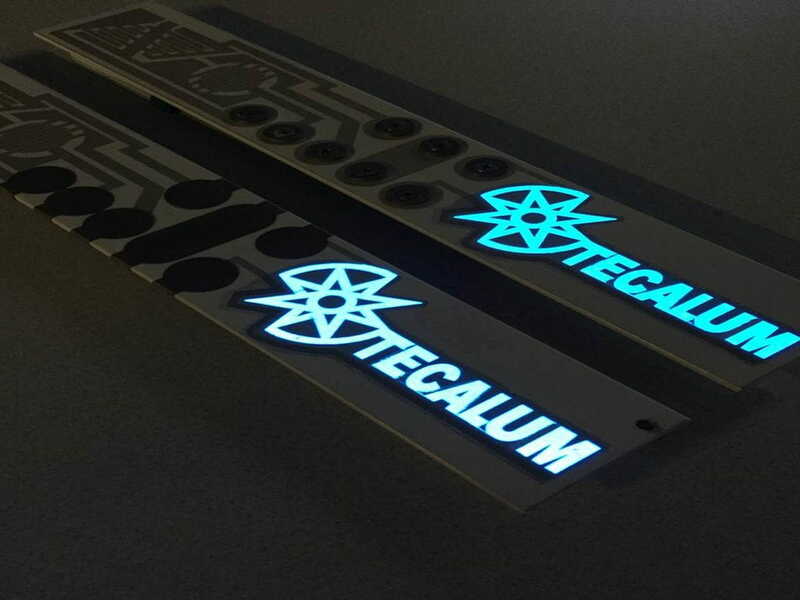 At the same time, the printing process is compatible with the scheme industralitzable and production company specializing in manufacturing aluminum Tecalum who have an advantageous position to offer products never seen in the market. Project funded by the Ministry of Economy, Industry and Competitiveness and by the European Union within the framework of the call-luminescent Collaboration of the State Program of Research, Development and Innovation Facing the Challenges of the Society within the Plan State Scientific Research and Technical and innovation 2013-2016, with the aim of promoting technological development, innovation and quality research.